Whether it’s through a contact center or self-service web portal, the support function is often where customers engage with your company. And in either context, giving answers quickly increases satisfaction and reduces churn. 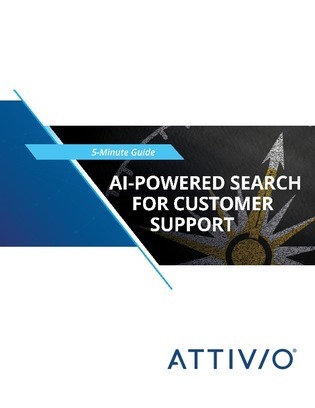 In this white paper, explore how AI-powered search at the core of your customer support systems can make the support experience much better for your customers and easier for support staff.